Enjoy more than 10,000 tulips blooming this spring in the gardens. 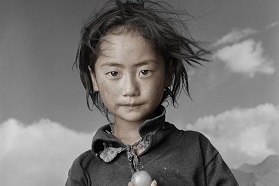 Learn about the lives of Tibetans through an exhibition of powerful portraits and stories. Tour through the many ornate settings of the historic estate. This summer, see more than 200 mini masterpieces in the largest jewelry exhibition ever presented in Wisconsin. Feel rejuvenated amidst more than three acres of flourishing gardens. A historic estate flourishing with art, gardens and inspiration. Featuring a selection of photographs and narratives from Phil Borges’s Tibetan Portrait: The Power of Compassion, this exhibition shares compelling stories of Tibetan individuals — from nomads of the remote Himalayas to the Dalai Lama himself — presented February 9—May 19, 2019. 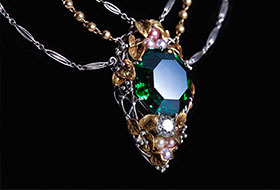 Presented June 22—September 22, 2019, Maker & Muse: Women and Early Twentieth Century Art Jewelry celebrates the impact of women on art jewelry. Explore fascinating connections between art jewelry, design, and women in the early 20th century with more than 200 exquisite works. 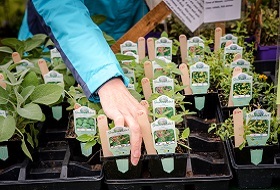 Festival of Spring features more than 100 vendors of original art, fine crafts and garden supplies, as well as the Paine’s annual Spring Plant Sale with perennials, “tried-and-true” plants and hard-to-find varieties. Join us for the festival on May 18, 2019. Escape to a historic estate with breathtaking botanical gardens, classic European-style architecture, an exquisite art collection, changing art exhibitions, and unforgettable seasonal events. The Paine is open year-round to visitors and offers a spectrum of inspiration through all the seasons. 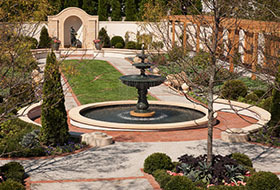 Find your source of inspiration as a Member of the Paine Art Center and Gardens. 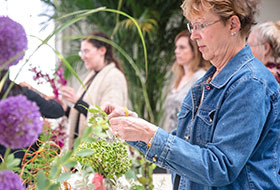 Members help to support the care and programs of the historic estate, and they receive special benefits in return, including free admission year-round to the mansion, gardens, and changing exhibitions. Learn more about all of the benefits of Membership. Your wedding deserves an absolutely exquisite setting, where every magical moment is unforgettable. 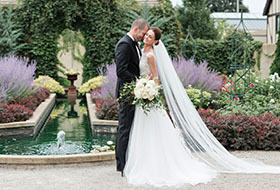 Choose the Paine Art Center and Gardens for your wedding ceremony, reception, and photography session. Host your special day within the historic settings and flourishing gardens of an English-style country estate.